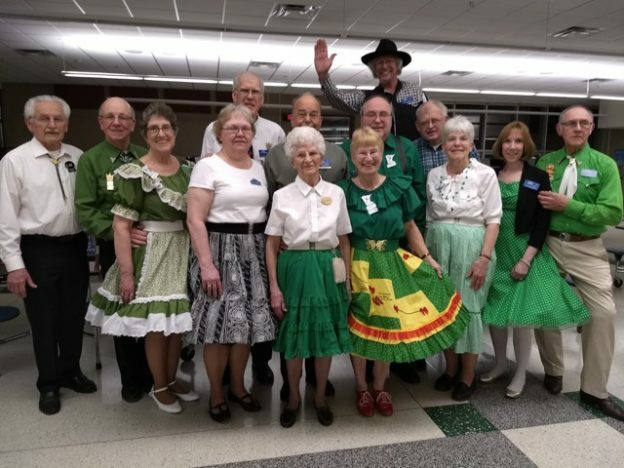 March 9, 2018 – Crystal Cross Trailers “Black & White” Square Dance, Caller Tom Allen, Cuer Tom Feneis. Five squares were present, including Westonka Whirlrs (see photo above). This entry was posted in Activities on March 13, 2018 by LeRoy.